You can choose between German and English (spoken, no subtitel). Product information "DVD Stay Alive - Video tutorial on practical self defense without any tools"
The security umbrella gives you an important advantage for your personal safety. But what if you do not have the security umbrella at hand and get into a dangerous situation? At this point the DVD "Stay Alive!" By our head instructor Robert Amper comes in. He explains to you with sample videos and in peace and quiet, how to effectively defend yourself in an emergency situation without any tools. You learn simple but highly effective techniques that anyone can immediately understand and use. It is not expected that you are athletic and trained. “Stay Alive!” is designed for average women and men of all ages. Completely independent of the threat situation, with the knowledge of this DVD, you are as prepared on the way home as you are in an attack on public transport, in a robbery in a store, a threat at an event, etc. 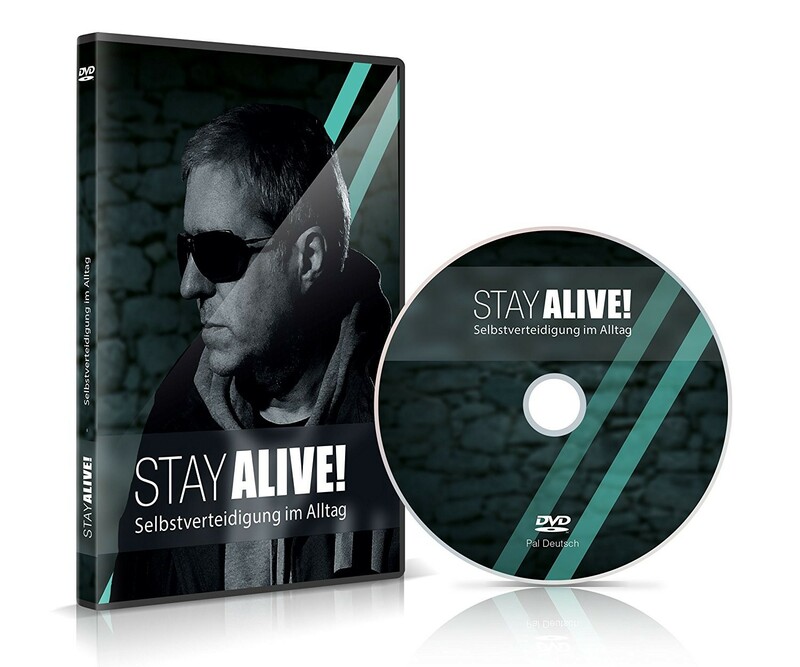 Related links to "DVD Stay Alive - Video tutorial on practical self defense without any tools"
Customer evaluation for "DVD Stay Alive - Video tutorial on practical self defense without any tools"